According to the New York Times, there are an estimated 200,000 deaths each year as a result of preventable medial mistakes. In many cases, medical errors can also cause a patient’s condition to grow worse or can injure or kill a patient. Because there are so many errors, patients or family members of surviving victims are forced to sue a doctor or hospital for damages. The large number of medical malpractice lawsuits has had many different consequences, but one unfortunate side effect of these lawsuits is that hospitals and care providers are often very reluctant to provide information to patients or even to listen to feedback from patients after an injury or death occurs. Our medical malpractice attorneys are concerned that the disturbing reluctance of care providers to communicate with patients or families after a mistake is made is causing the quality of medical care to decline. Further, families who want answers may be frustrated by the lack of cooperation from hospitals. In December of 2012, Boston.com reported on one incident that showed just how reluctant hospitals are to take responsibility for potential mistakes or even to listen to feedback and suggestions. 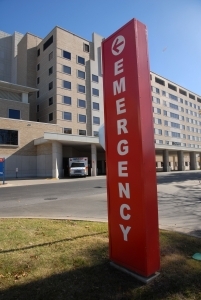 According to the article, a Boston emergency room physician from Brigham and Women’s Hospital expressed his frustration with a Wisconsin hospital that had treated his mother for a systemic infection. The Boston doctor watched as the hospital staff failed to start a standard drug treatment on his mother. Tragically, his mother died as a result of the infection. The Boston doctor did not wish to sue the hospital, but instead wished to speak with the physician leader or administrator to provide feedback and to hear from the hospital on what went wrong and how they would prevent another avoidable death from occurring. Unfortunately, the Boston physician was unable to have an open conversation with the hospital. Instead, after months of trying to get into contact with officials, a hospital administrator gave a “sanitized” verbal admission of error. This inadequate response was likely given as a result of fear of a malpractice lawsuit. When even a doctor is not able to get another hospital to answer simple questions, even though he is not threatening to sue, this underscores the difficulty that the average person or family might have in trying to get answers after a medical mistake. If one of your family members or loved ones has been hurt, or if you have been injured as a result of medical malpractice or hospital malpractice, you have the right to understand what happened. You also have the right to make the hospital pay for damages. As the tragic story of the Boston doctor’s mother shows, you will likely have difficulty getting the answers you need and enforcing your rights without putting some type of legal pressure on the hospital to stand up and take responsibility. If you or a loved one has been injured by medical malpractice in the Greater Boston area, contact the Law Offices of Jeffrey S. Glassman, LLC for a free consultation to discuss your claim. Call 1-877-617-5333.